tvOS 11.2.1 is now available to download for Apple TV 4 and Apple TV 4K users. It brings the same HomeKit patch as iOS 11.2.1. Apple Has Released tvOS 11.2.1 with HomeKit Fixes. Download it Today. Alongside iOS 11.2.1, Apple has released tvOS 11.2.1 as well. Both software updates feature the same changes, and it’s important that you download it right away. Apple TV users can download the update by navigating to Settings > System > Software Updates in tvOS. The entire download and installation process won’t take more than a few minutes and you will be required to restart your Apple TV, so please, refrain from doing anything out of routine with your set-top box during that time. 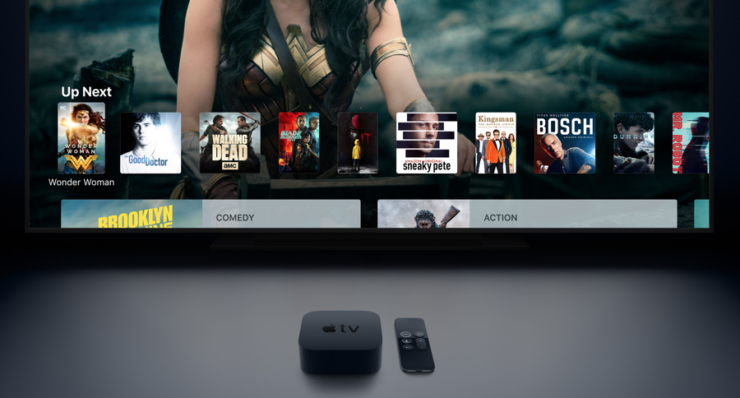 For Apple TV 4K users, the update is available over the air only. But Apple TV 4 owners can even download a tvOS 11.2.1 IPSW file if they so wish in order to restore using iTunes. I wouldn’t really recommend taking the clean installation route as this update is way too small. But if you are facing severe slowdowns and whatnot then you may go ahead with the iTunes method of installation. Just be vary of the fact that it will wipe everything off your Apple TV. If you are fine with that then go ahead.